Gene Martin in the New Hampshire Senate, where he serves as the Democratic caucus director. Kaleb Hart ’11 photo. Class president. Student trustee. Intern at the New Hampshire State House. President-Elect of the PSU Alumni Association. That’s an impressive track record for someone who recalls starting his college career as a shy young man, afraid to get involved. 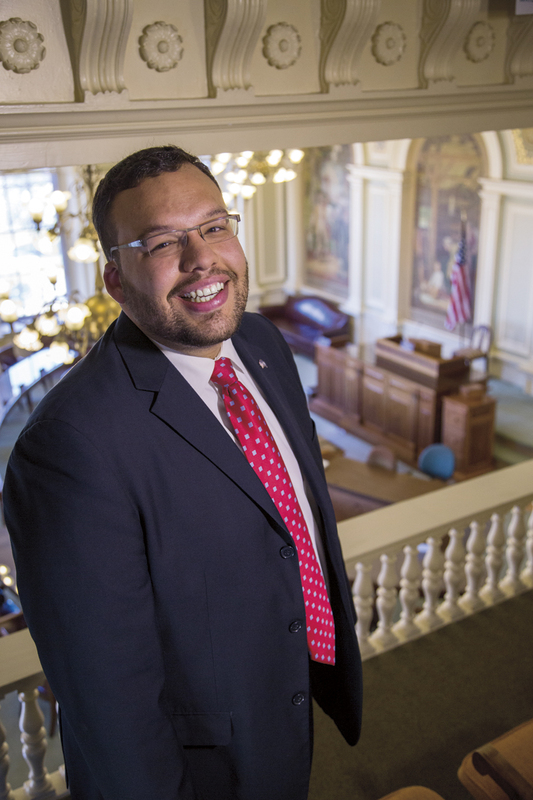 “Plymouth State helped me break out of my shell and prepared me to achieve my dream of a career in politics,” says Gene Martin ’09. To make your own monthly gift to Plymouth State’s Annual Fund, please contact Diane Tiffany ’76 at (603) 535-2592 or dttiffany@plymouth.edu.